Santa Clause is coming to town... along with all the holiday sweets you eat and the extra pounds you put on over the holidays!! But not this year, we are going to change that!!! My December 1st Challenge group is going to be a blended group with the majority of people using the 21 Day Fix program guide while others will be using the PIYO or T25 program. If you are new to my challenge groups I highly recommend started the 21 Day Fix program first because it has extremely fast results to help quick start your health and fitness endeavors. If you aren't interested in the 21 Day Fix, message me because we will find the PERFECT program just for you so you can join in on the challenge and reach your health and fitness goals! My Challenge Groups will be starting December 1st, 2014, and the plan and prep week will start November 24th. This is a closed group for passionate, motivated, and determined women who want to change their life and their family’s by getting healthy! I will be the coach of the challenge group and I will work with each women 1:1. We will figure out your health and fitness goals together from losing weight, gaining muscle, eating clean, meal prep, and learning self-control and discipline when it comes to food and exercise. I will be there right by your side from start to finish! For those that are interested in the 21 Day Fix Program see below what the program involves. The 21 Day Fix is a nutrition and fitness program that makes losing weight and getting into shape easy for ANYONE…full-time employees, MOMs, and students! The program is an easy-to-follow portion control system with 30-minute workouts for each day of the week. The results are incredible and some challengers have lost up to 15 pounds in just 21 days! Whether you want to lose weight and get in shape because you are approaching a big milestone birthday (like I did, the big 30), learn portion control before the holidays, lower your blood pressure/cholesterol, or lose that stubborn pregnancy baby weight the 21 Day Fix program is for YOU! It’s simple, it’s fast, and it works. It’s time to get serious and take your life into your own hands and get healthy! 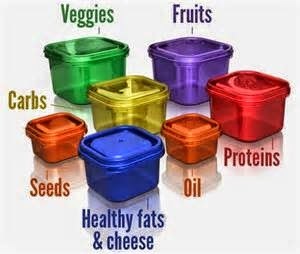 The 21 Day Fix container system will teach you how to create healthy portions simply and effectively. It shows you how to eat whatever you want, in the right amounts, so you can reach your goals in an obtainable timeframe. No crazy calorie or point counting on this program!!! The 21 Day Fix workouts are designed to burn a lot of calories in only 30 minutes per day of the week. Any fitness level can do them, I promise!!! If you’re a beginner, follow the modified version. And if you’re an advanced exerciser looking to shed those last few pounds, increase your intensity and challenge yourself to push harder. Why is the 21 Day Fix effective? Because it’s so simple! There is no counting calories, points, or logging your food into myfitness pal. Believe me I have done it all!! I was a Weight Watcher member for 8 years, counting my points all the time, and even though I lost the weight, I got tired of counting points! I even have counted calories and honestly I just got so burnt out from counting calories it actually made me binge eat because I was restricted for too long! With the 21 Day Fix, everything is laid out for you. All you have to do is use the specially designed portion-control containers and do one 30-minute workout per day. All I am asking is that you commit to it for 21 days, and you’re going to love your results. Because it’s combining both fitness and nutrition! By placing equal importance on fitness and healthy portion control, 21 Day Fix can help anyone lose weight—and keep it off—in a way that’s simple and sustainable. Whether you want to lose 10 pounds or 100 pounds, you can do it with the 21 Day Fix program. I am telling you this program is incredible and the results are INSANE! 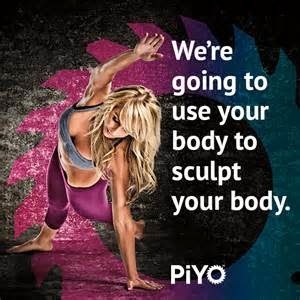 Again, if you are interested in another program some of my other favorites are the PiYo program and T25. Watch the videos below! If you have any other questions about the program, costs for the challenge, or would like to join in my next challenge group starting December 1st, 2014, please email me and fill out the questionnaire below and I will get back to you within 24 hours. AGAIN YOU HAVE 6 DAYS LEFT TO SIGN UP SO THAT YOU CAN GET YOUR PROGRAM IN TIME TO START THE CHALLENGE DECEMBER 1ST! Now lets choose to be NICE this Christmas and get healthy! Checkout my Facebook page too!